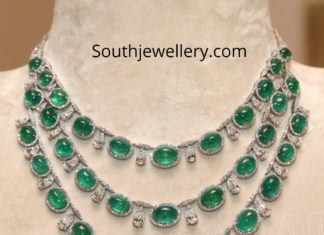 18 Carat gold three step necklace studded with diamonds and emeralds by The House Of MBJ. 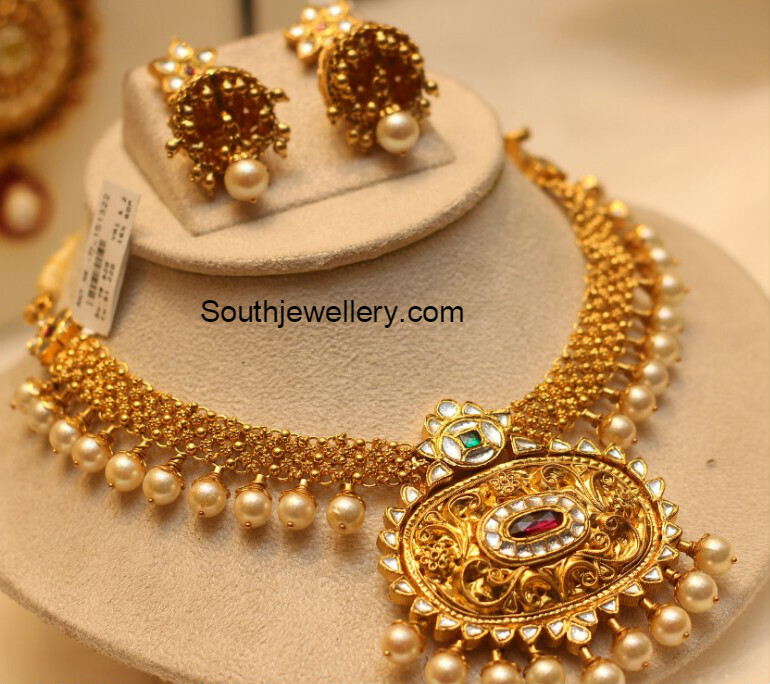 18 Carat gold bridal diamond choker paired with matching earrings by Navrathan Jewellers. 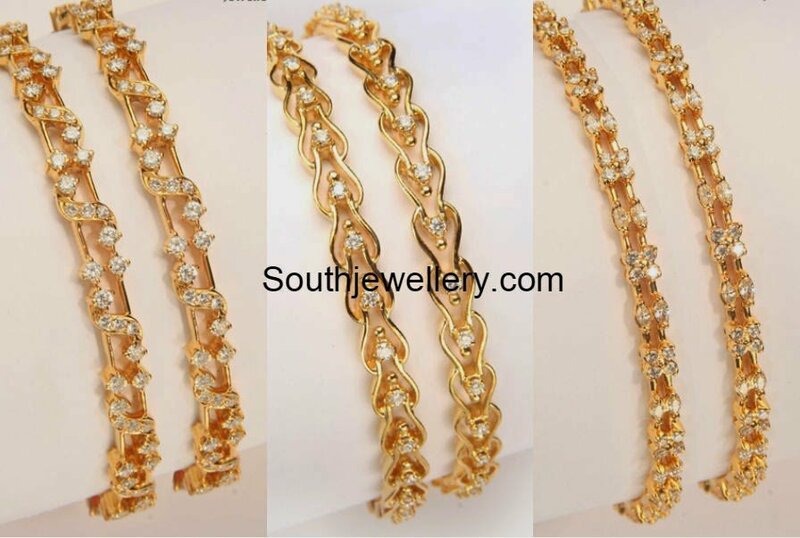 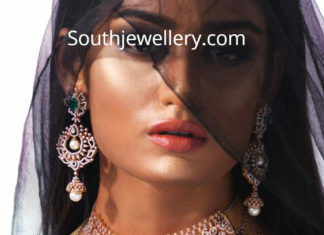 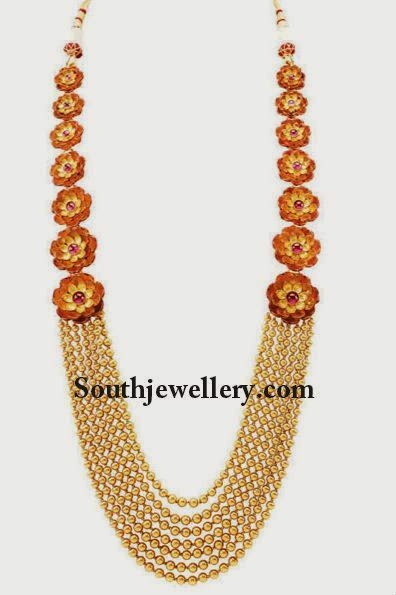 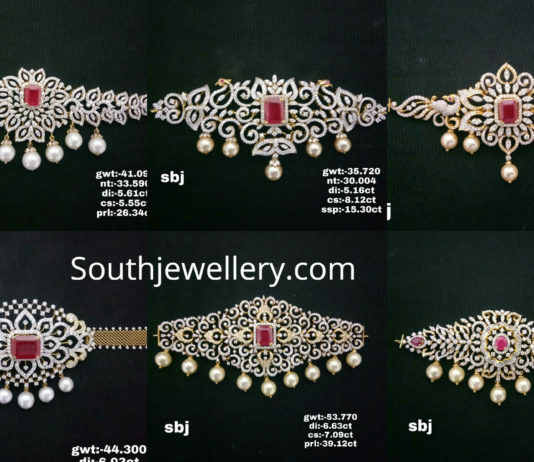 18 carat gold huge diamond emerald choker, diamond emerald long haram, diamond vaddanam, diamond emerald earrings, armlet and bangles. 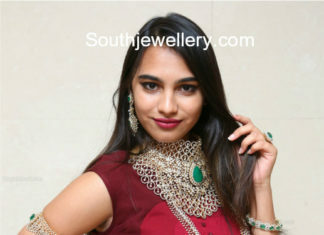 Diamond emerald choker paired with matching jhumkas and diamond bracelet by Manepally Jewellers. 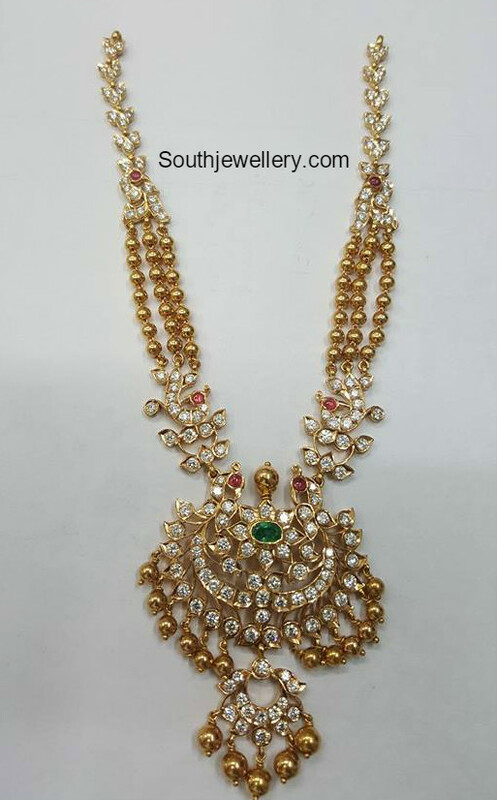 Simple diamond ruby choker, diamond ruby necklace paired with matching jhumkas and armlet by Sree Kumaran Thangamaligai jewellers. 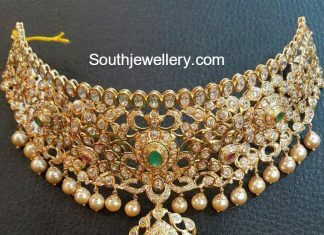 22 carat gold bridal choker studded with uncut diamonds, rubies and emeralds.